Ambassador of Philippines to the United Nations, H.E. 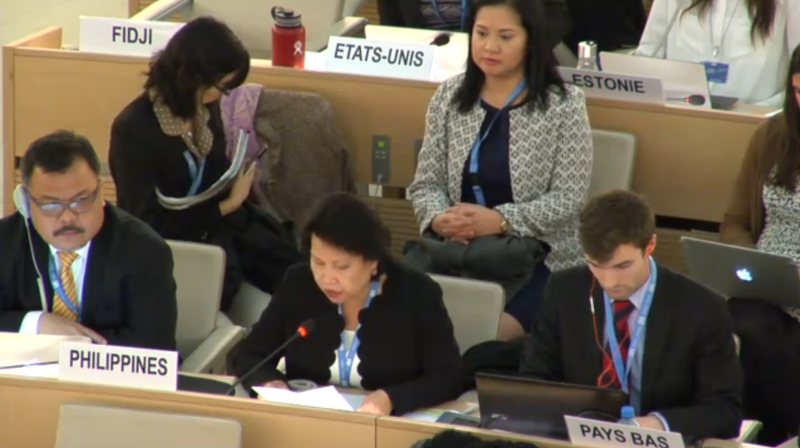 Ms. Cecilia Rebong gave a statement at the Panel Discussion on Climate Change and the Right to Health at the 11th Meeting, 31st Regular Session Human Rights Council on 3 March 2015, highlighting the importance of reducing emissions and living up to the ambitious objective of limiting warming to 1.5 degrees, for delivering large health and human rights benefits. The statement of the Philippines, as Chair of the Climate Vulnerable Forum, begins at 1:09:30.